Will The Next Great Saratoga Cocktail Be ‘The Saratoga’ From Max London’s? 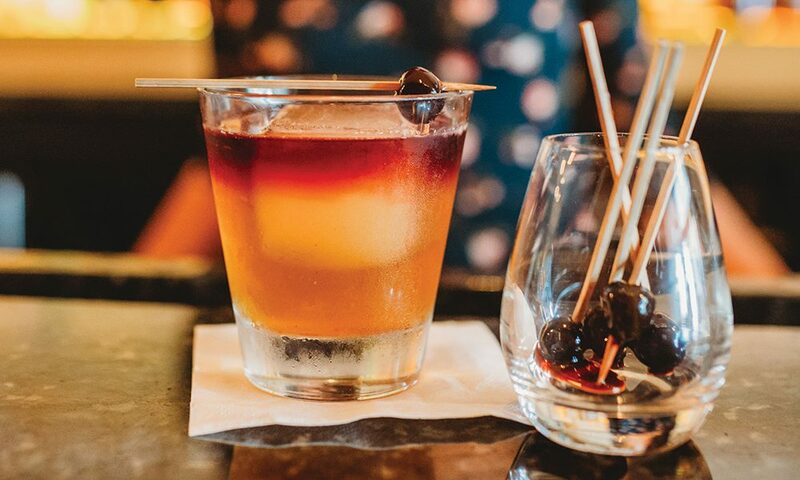 Max London's dials in a Spa City-themed Manhattan—that you can order at the restaurant right now! 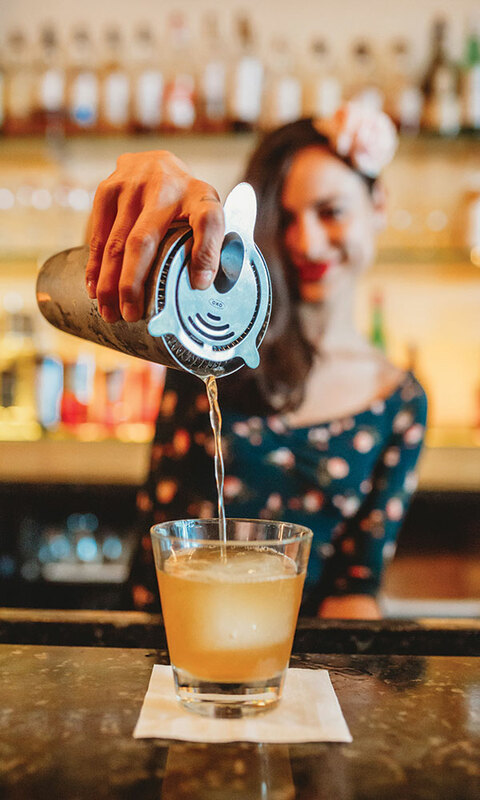 In our previous issue of saratoga living, Saratoga jazz/whiskey/martini bar 9 Maple Avenue provided us with its take on the “Next Great Saratoga Cocktail,” with its delicious Saratoga Rye Buck. (Previously, Siro’s offered up the Ginger Mint Mojito, and you got entries from Harvey’s Restaurant & Bar, Sinclair Saratoga, Morrissey’s At The Adelphi and Hamlet & Ghost.) Check out the latest entry from Max London’s below. I’m doing a spiced Manhattan riff with Saint Lawrence Spirits‘ Rye Knot Rye Whiskey—in other words, a cocktail made with an all Upstate New York lineup of ingredients. I wanted to pick a spirit—Rye Knot Rye is distilled in Clayton, NY—that would speak to the great state of New York, while using locally grown apples and cider from Saratoga Apple that nod to the Spa City. Add first five ingredients to chilled rocks glass, along with one large ice cube, and stir. Top with wine. Garnish with skewered cherry and serve. *To prepare Fall Syrup: Toast ¼ lbs. pecans in saucepan until lightly burnt. In separate pot, add 33 ounces apple cider and 33 ounces granulated white sugar, mix under medium heat until all sugar is dissolved. Add 6 cinnamon sticks, 20 grams cloves and 20 grams allspice. Simmer for 30 minutes. Add toasted pecans and refrigerate for 24 hours before using.